• Access support with completing paperwork. • Arrange follow-up adviser appointments. 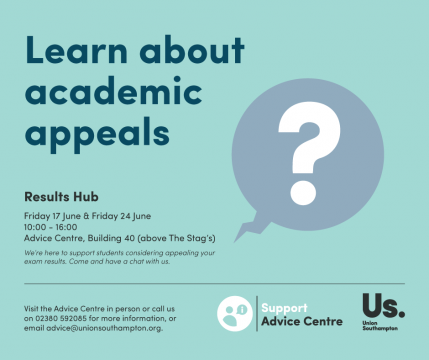 Visit the Advice Centre in person, call us on 02380 592085 for more information, or email advice@unionsouthampton.org. Find out more about our Advice Centre here. Find out the latest news from our Support services here.